My mum made this in Picmonkey and added one of the ink borders in pixlr to create this effect. Your artwork always looks so cool!!! Your photo looks especially pretty with the purple background. Athena! Yous looks so darn gorgeous! That is a spectacular shot! It could be a painting ! Love that! Happy Caturday Athena and Mum! Very pretty. Looks like a recond album. Athena you look like you are floating way above the clouds! Really great photo, Athena. So pretty. 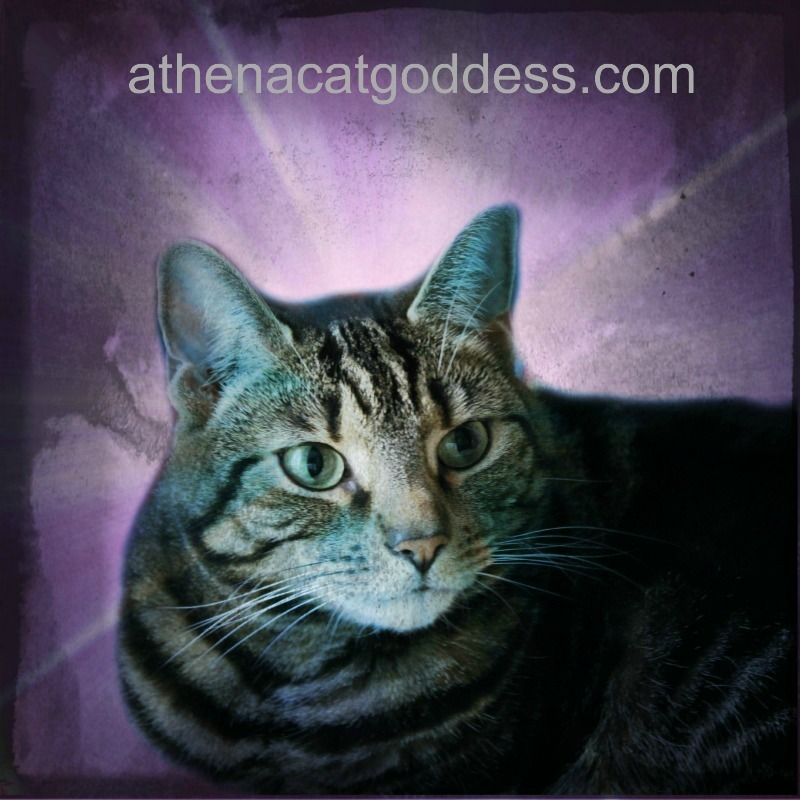 Athena, you look lovely in that art photo. Purples are a great background color for you. gorgeous! Love the color combo!! !